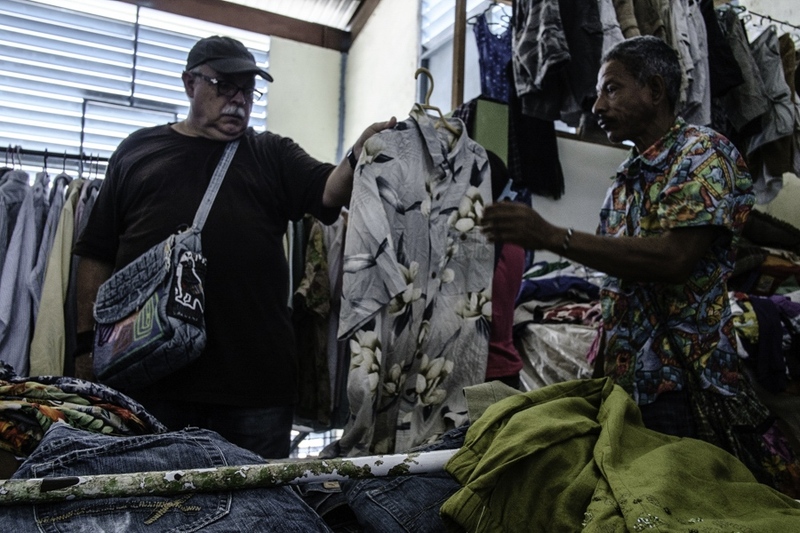 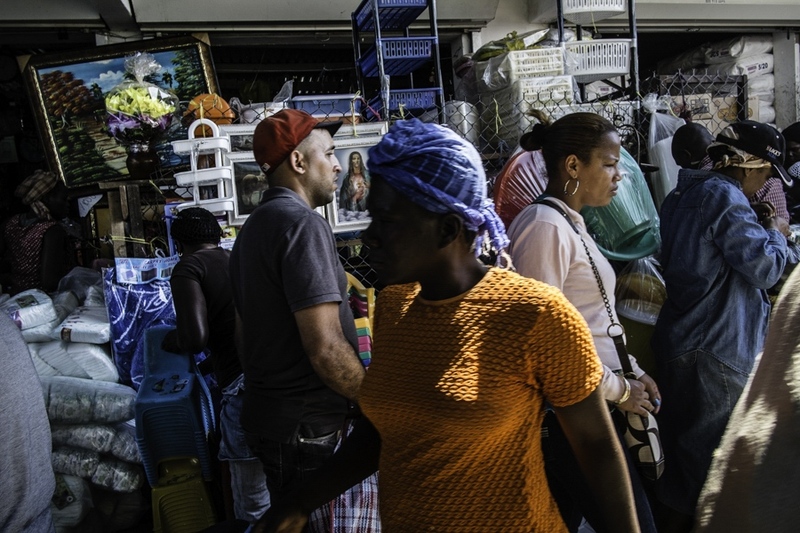 Dajabon, Dominican Republic is the place where the international market happens between Dominicans and Haitians, Mondays and Fridays. 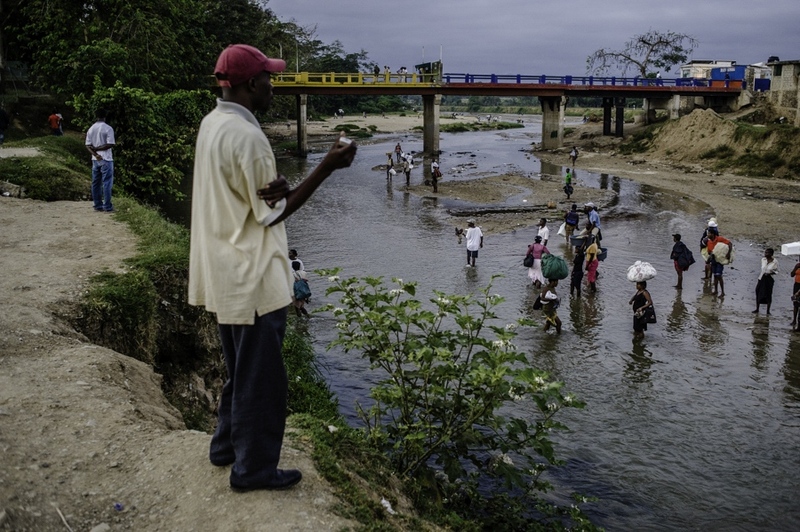 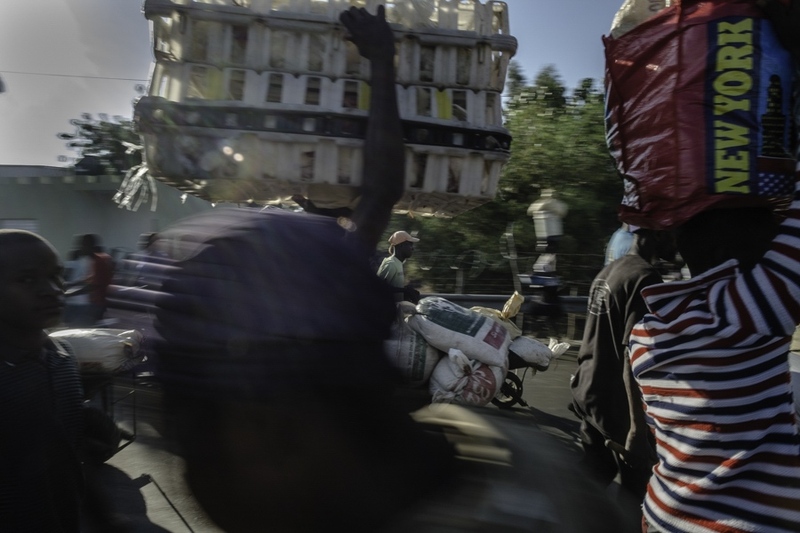 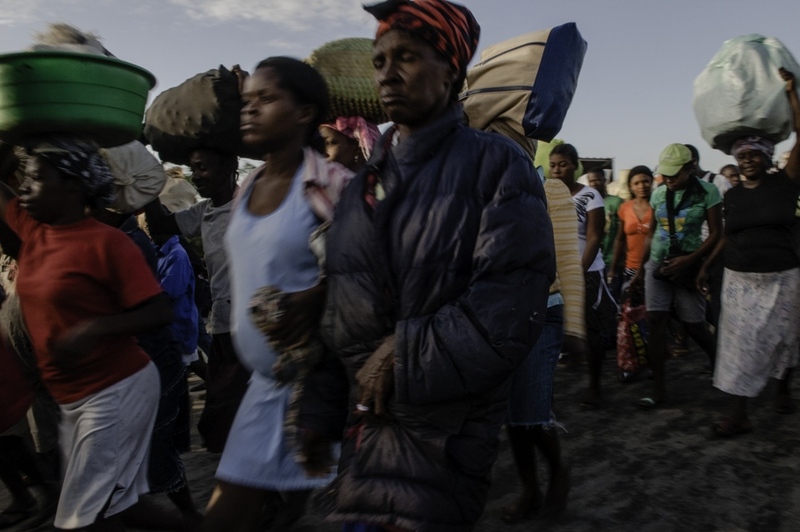 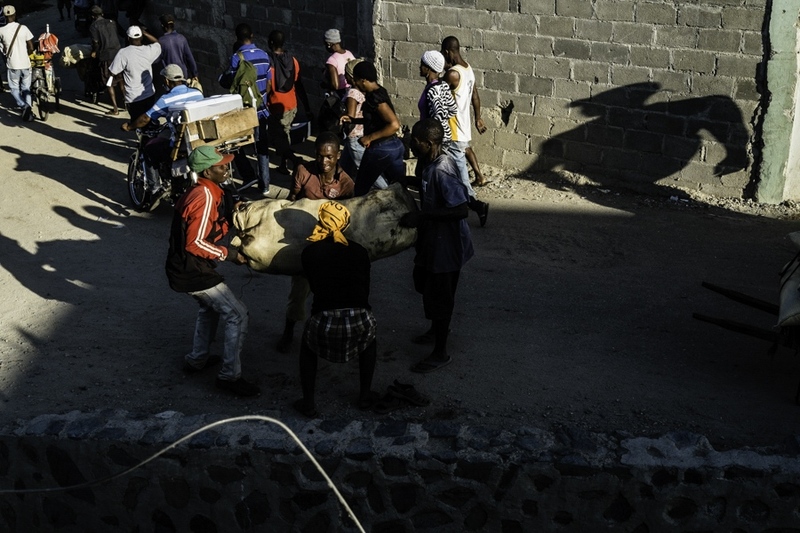 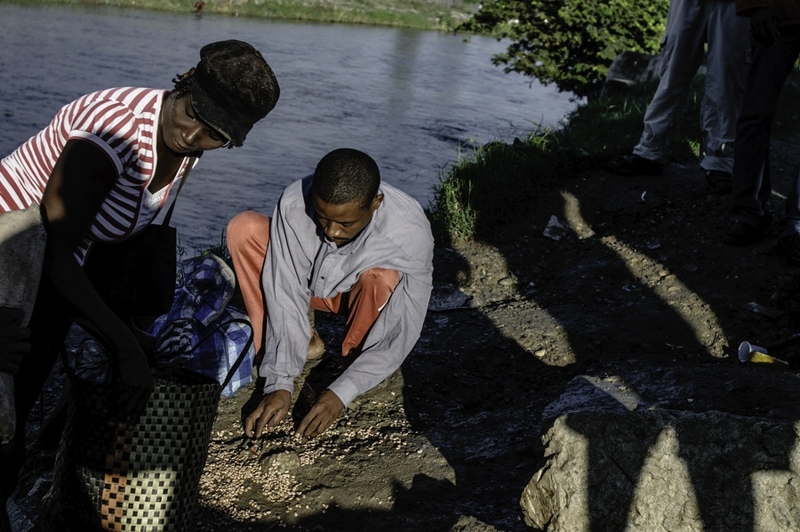 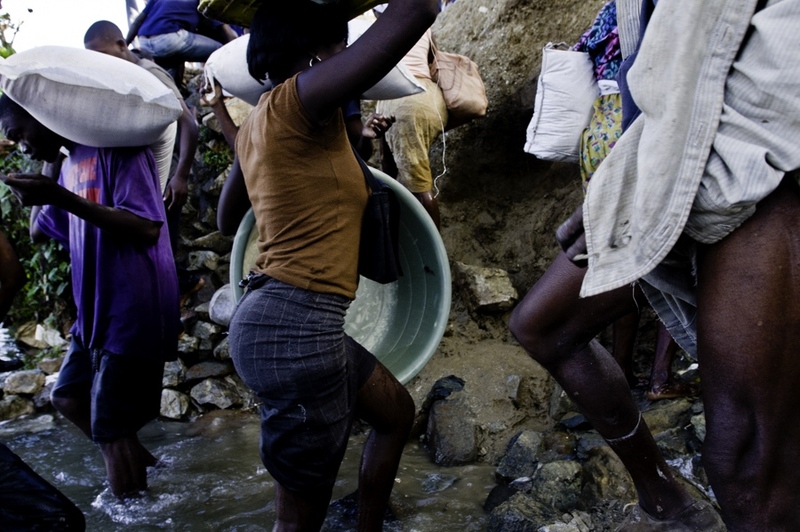 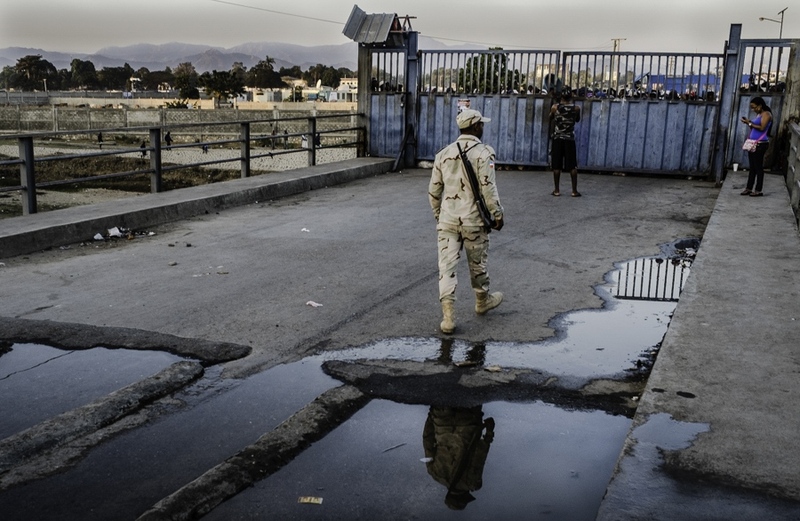 The border opens at 8:00 AM, but since sunrise Haitians cross the Masacre river, to get a good place in the market or to start earlier their sells. 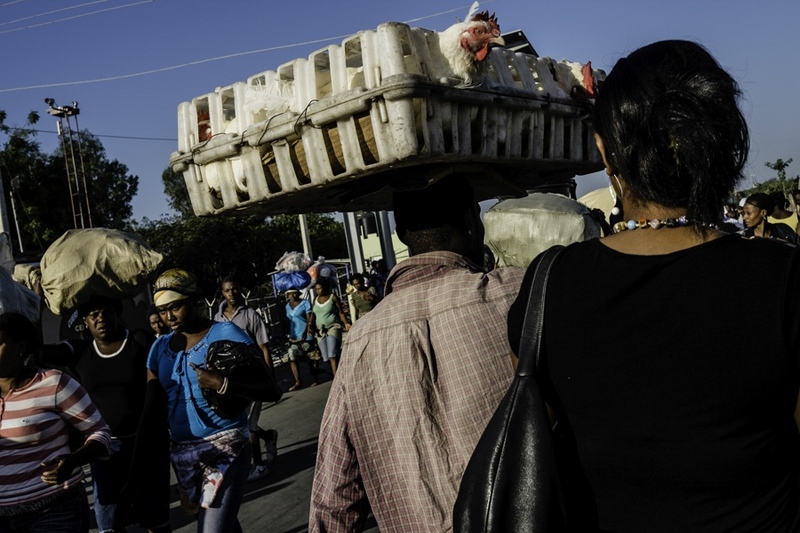 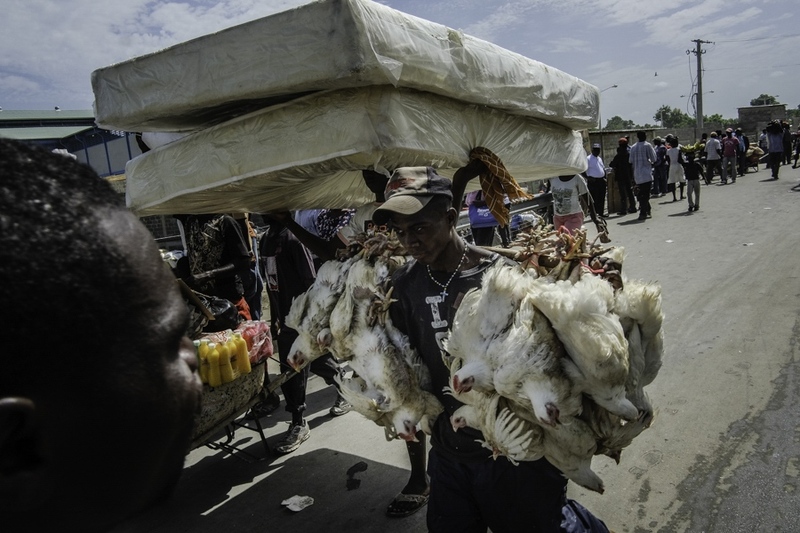 Haitians sell, clothes, garlic, perfumes among other things; they buy, vegetables, ice (I did a project about it: Fe Glas), chickens. 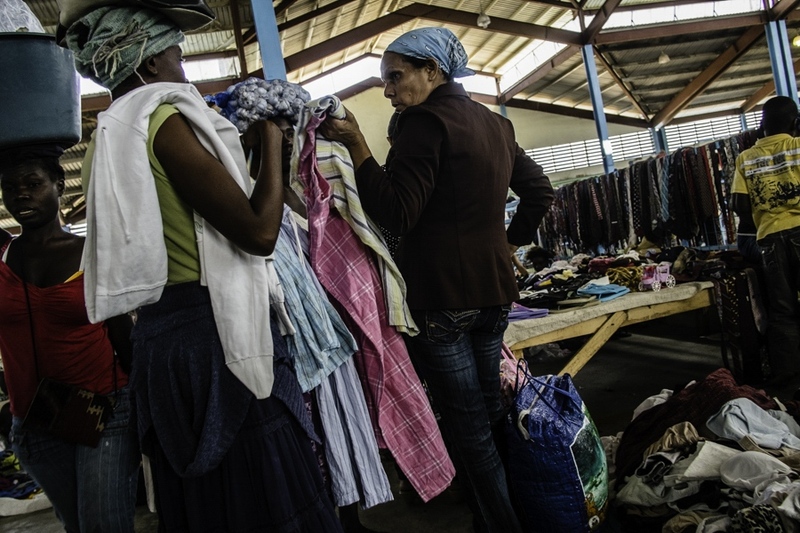 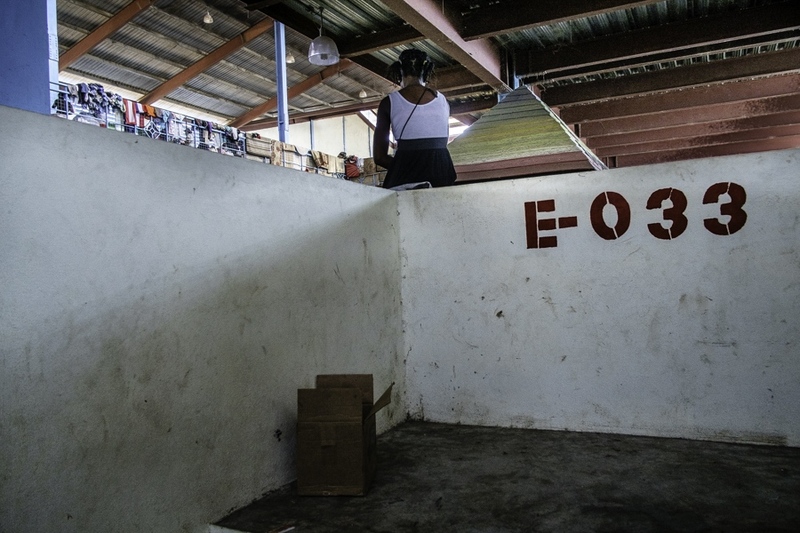 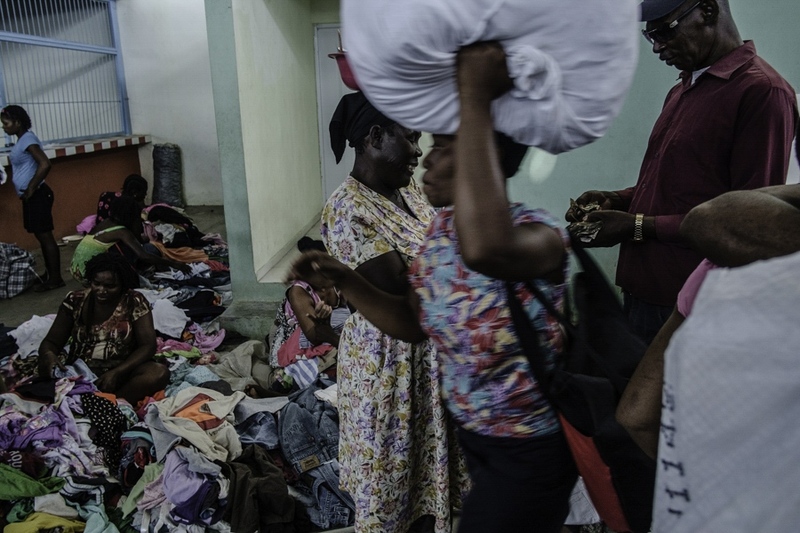 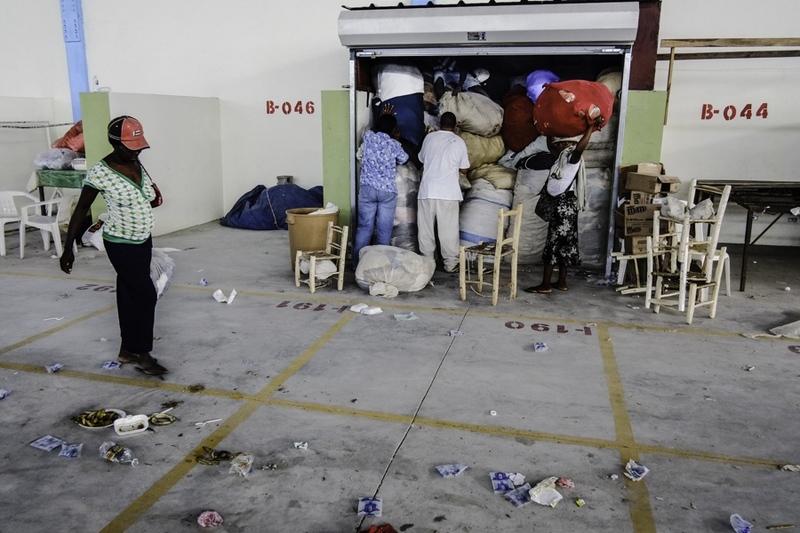 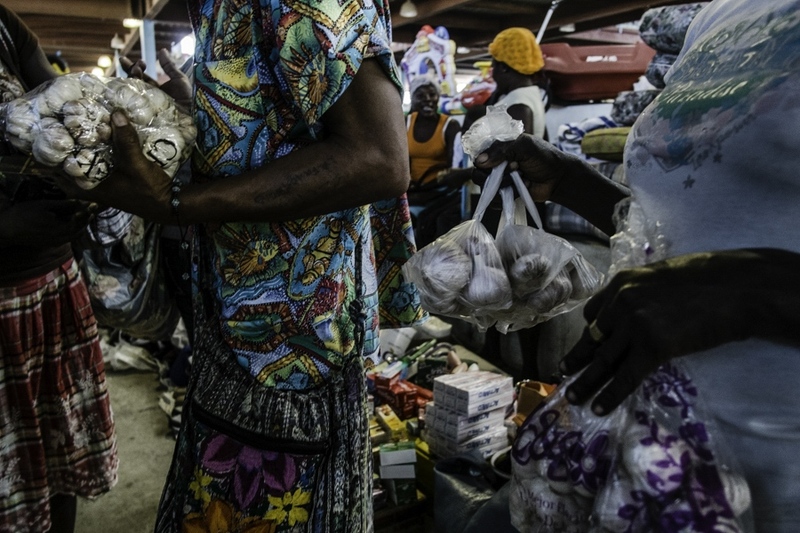 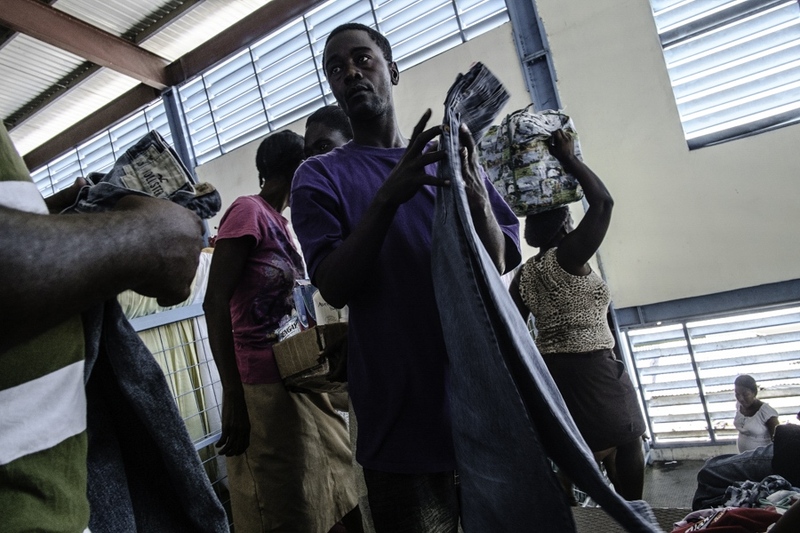 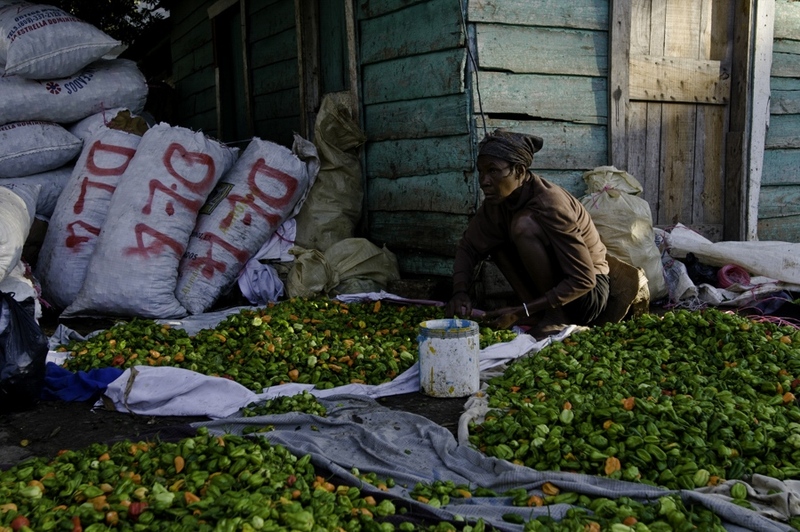 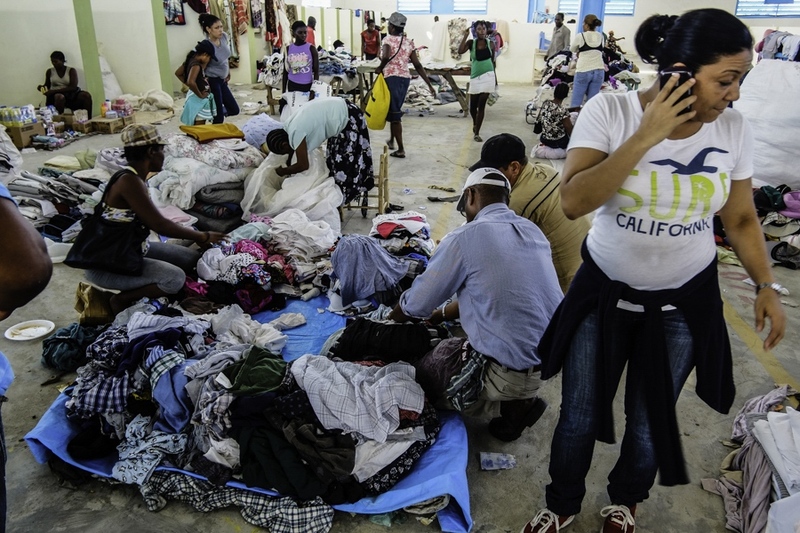 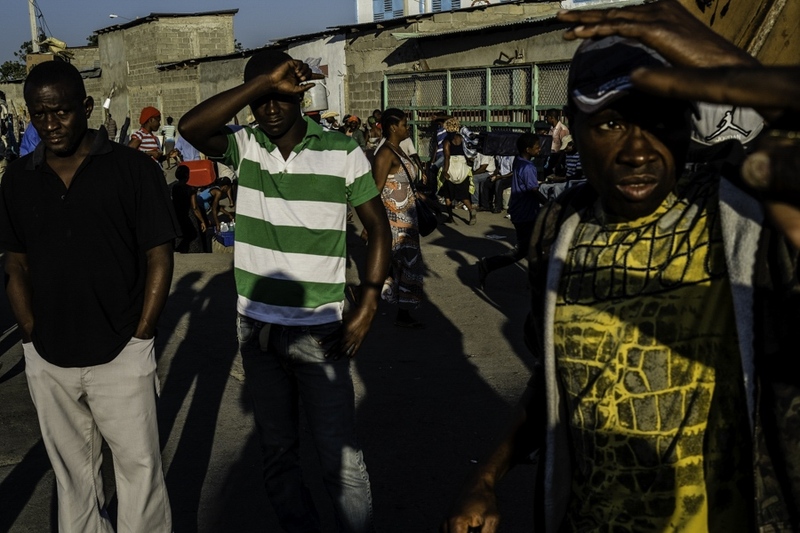 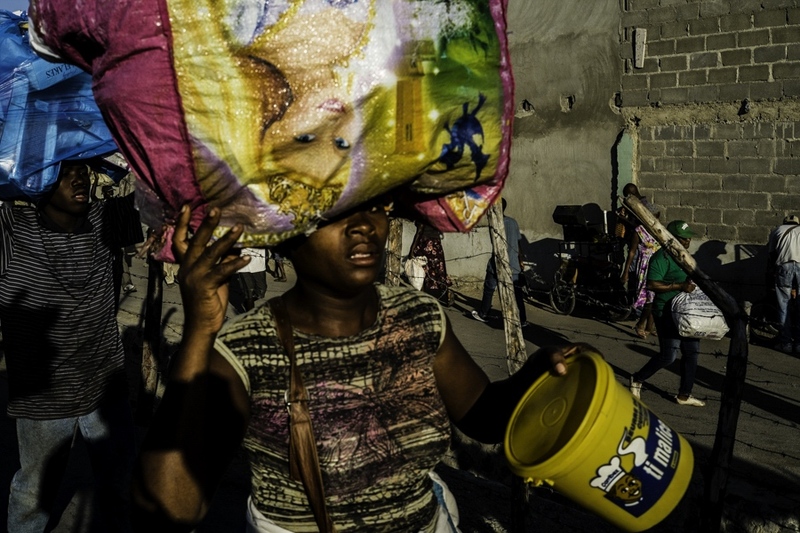 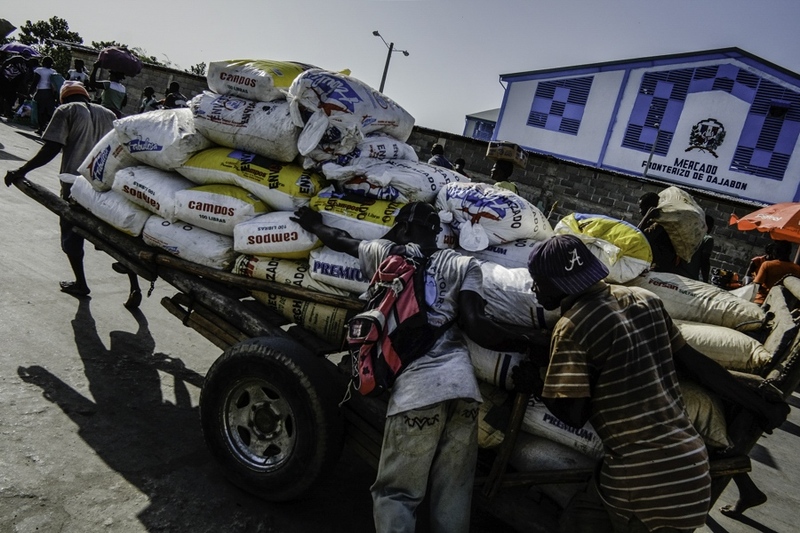 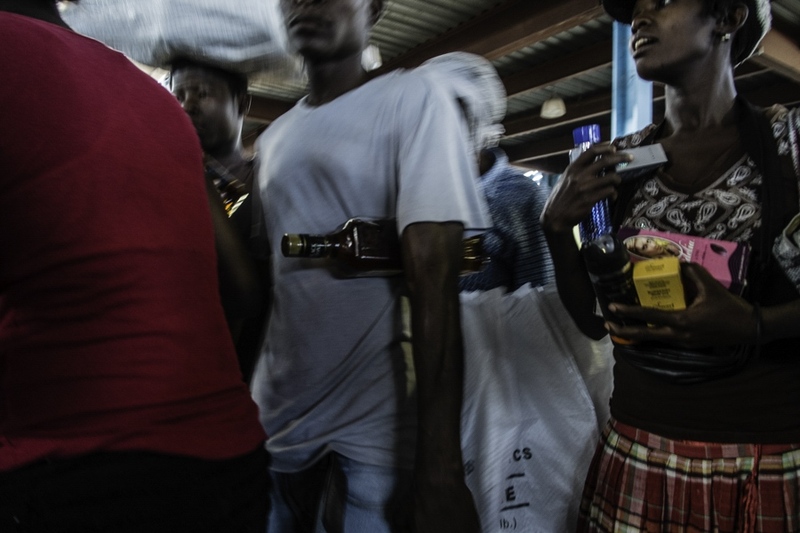 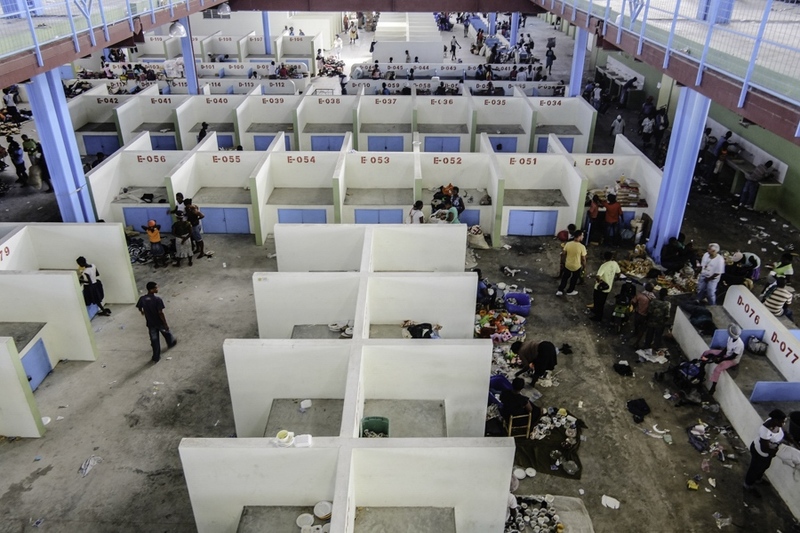 During market days, Haitians are allowed without documents to cross the borders. 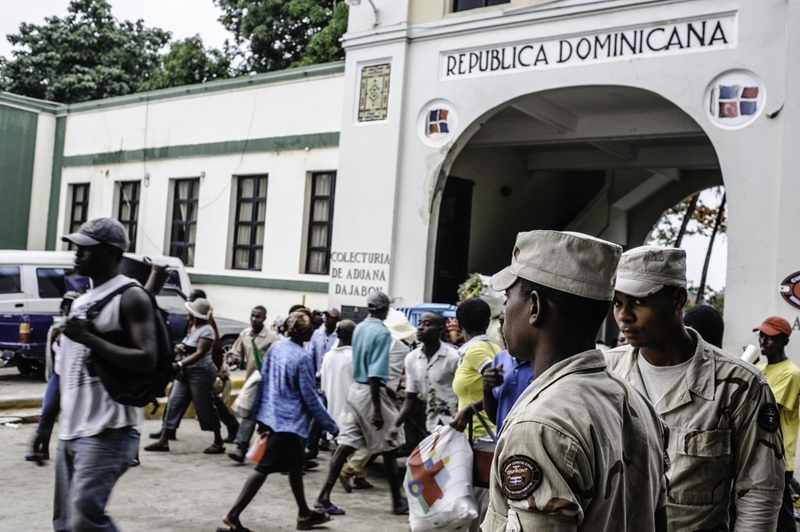 The Haitian side starts to ask for documents to Dominicans. 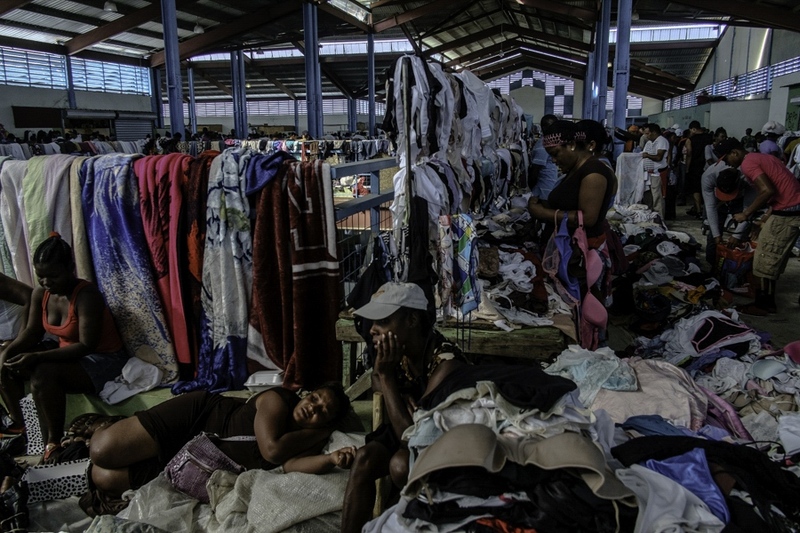 There have been some changes, like the market building in the Dominican side, where spaces are rented. 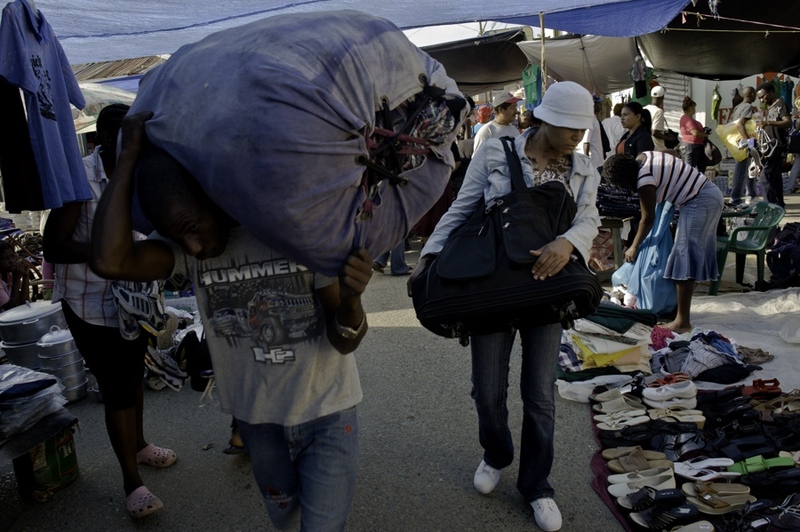 Here it is mostly clothes and shoes.